Right, lets get straight to the point, topic of todays blog… CAKE. Those that know me, will also be familiar with my sweet tooth. 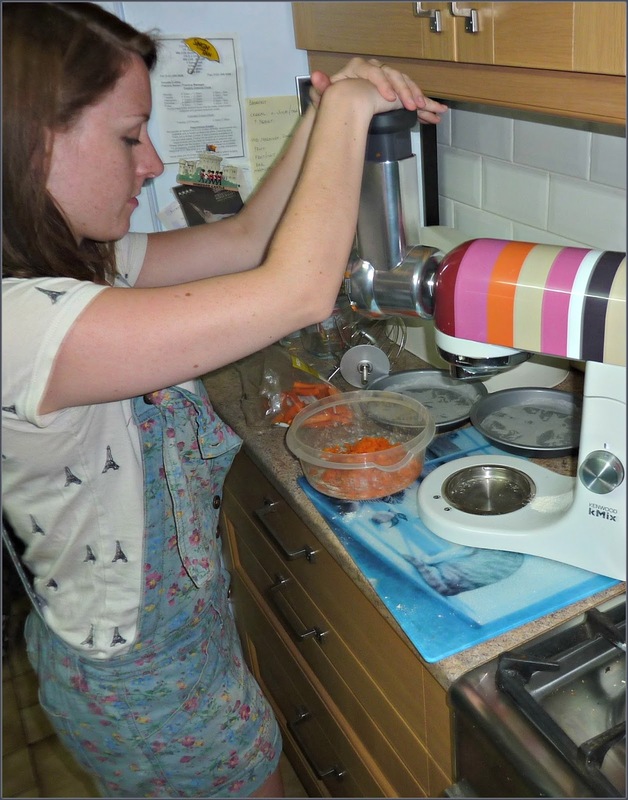 Its true, once a fussy eater with the taste buds of a 5 year old, I became a quivering wreck when faced with peas, carrots or veg of any kind- however, I always struggled to turn down dessert! It has become my mission recently to grow up, culinary speaking, to learn to cook real meals (apparently cheese on toast doesn't count as real) and to expand my mind and lose the fear holding me back from trying 'scary' stuff. 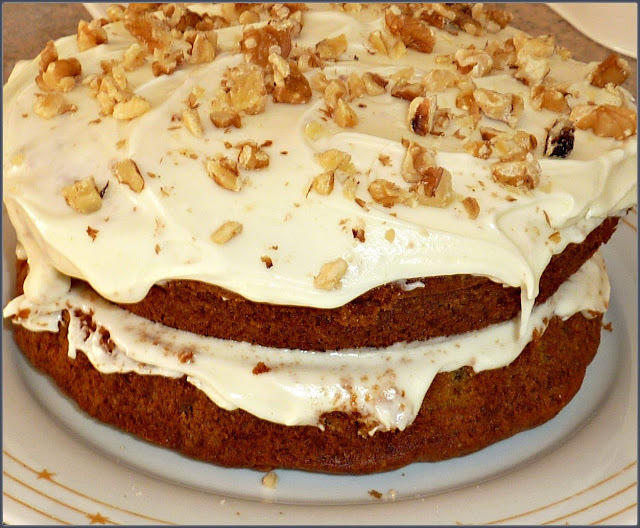 As my list of success continues (tomatoes, lamb, coffee…), I some how still bring the intended quest back to the good stuff, pudding :) And in celebration of my mothers birthday I decided to try combing this effort with a great big birthday cake, by baking a carrot cake. 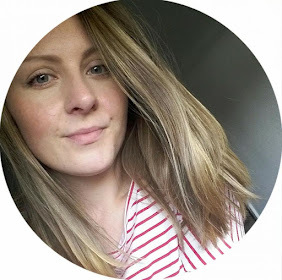 Ive never made one of these before, so began by searching for some recipe ideas I liked the sound of, and stumbled across this lovely blog Lucy's Recipes. 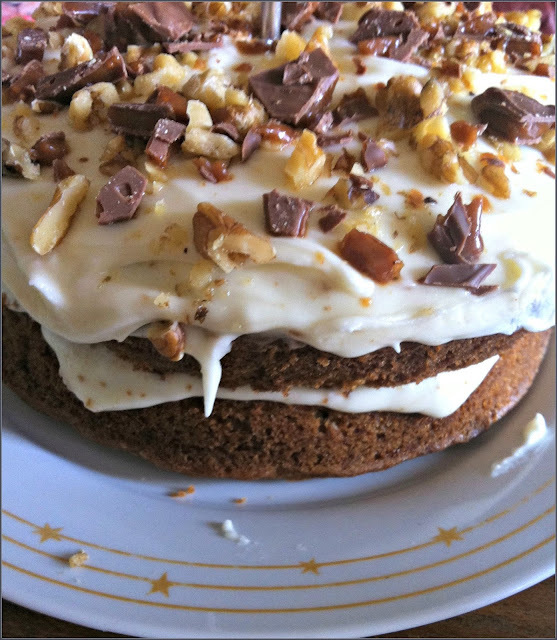 Lucy uses a Hummingbird Bakery recipe for the carrot cake (ding ding ding!! ), but presents it in a gorgeously unique way, that certainly caught my attention. 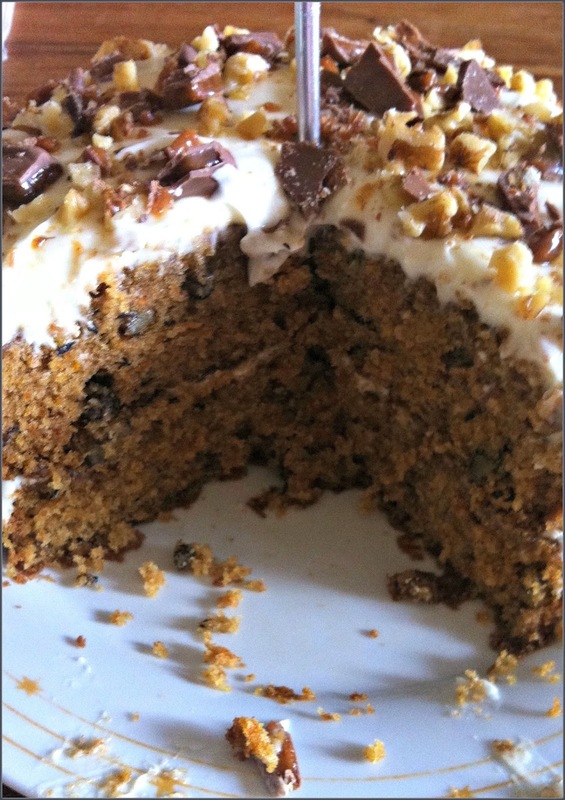 Take a look at the other recipes, the Deconstructed Banoffee Pie is next on my list to try!! Prepare 2x 8" tins cake tins with a little butter and line the bases with baking parchment. (In the original blog the recipe says 'makes one large cake' but doesn't specify how many cake tins are required. I used two rather shallow 8" tins and there was plenty of mixture!! 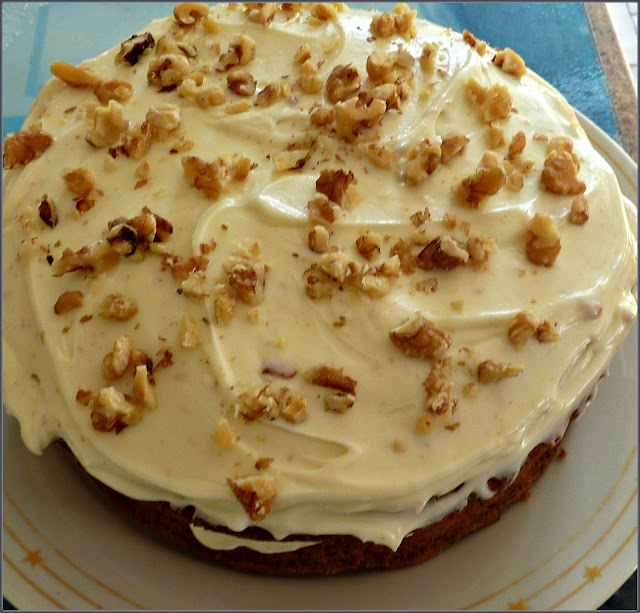 Including a little left over, which I baked in a third tin, to scoff whilst the other cakes cool, hihihi). Beat the sugar, eggs and oil in a mixer until nicely combined, then slowly add the dry ingredients (flour, bicarb, baking powder, cinnamon, ginger, salt) plus the vanilla, and continue to mix. 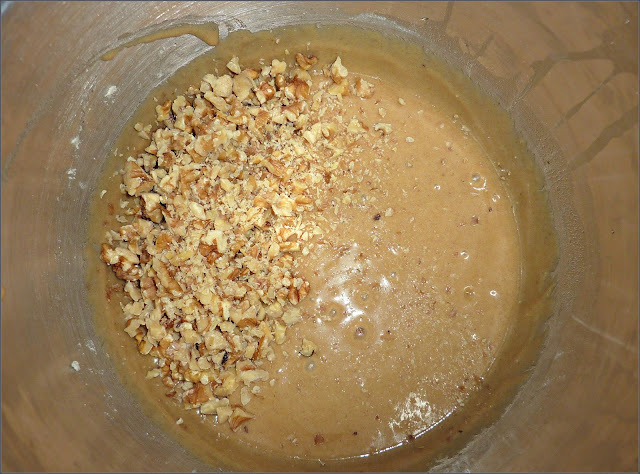 Stir in the grated carrots and walnuts with a spoon, do not freak out at the sight of this mixture, because I assure you, at this stage it ain't a pretty sight!! Have faith, this ugly duckling turns into the sexiest, moist sponge! Divide into the two (or chefs special, three) cake tins and bake in the centre of the oven for about 20 - 25 minutes, until the sponges bounce back when you press them. Use something sharp and pointy to pierce the centre of the mix, if it comes out clean, you're good to go. Let them stand a little, then upon turning out of the tins, leave to cool. Now comes the frosting! Add the sifted icing sugar (beware of sugary cloud inhalation!) and the butter to your mixer, and let it combine. At this stage my frosting was too dry and started turning into a crumby mix, so rather than waiting for things to incorporate or adding extra butter, I went ahead and threw in the cream cheese- which worked lovely! 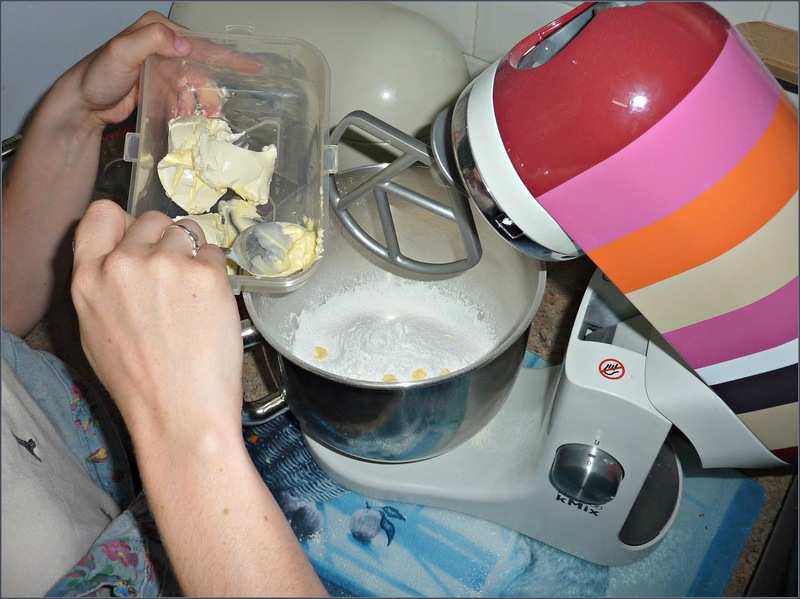 I kept the mixer going for at least 5 minutes until it was totally smooth and looked scrumptious. I then wrapped with cling film and left in the fridge to harden to a thick, workable paste. To assemble, use one sponge as a base, sandwich with the other using the frosting in-between, then of course, smooth the rest of the frosting over the top. 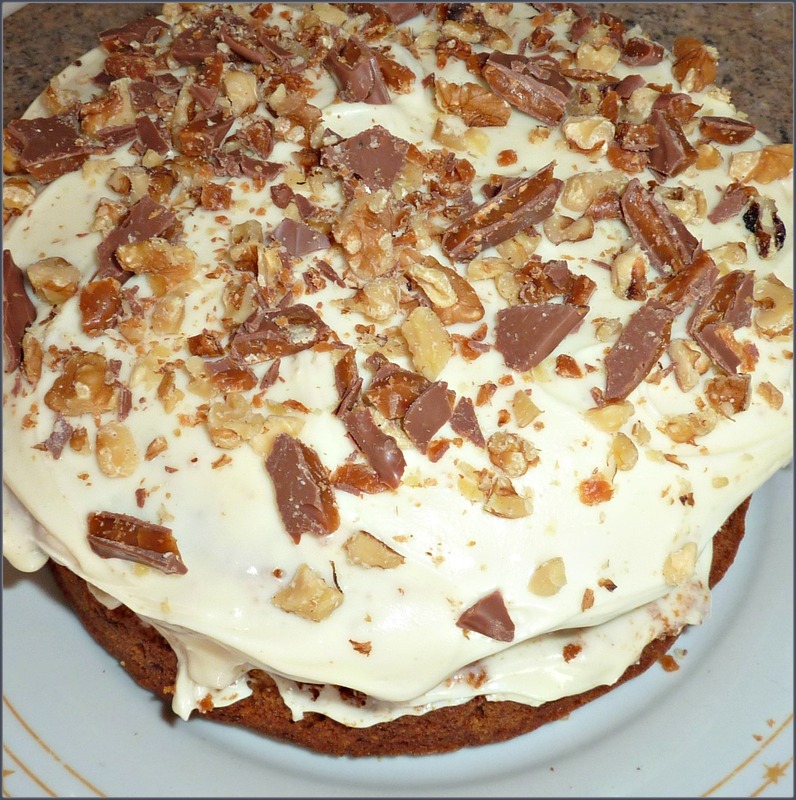 Next came the left over walnuts sprinkled on top, I also added a naughty treat… Chopped up Dime bar!! Trust me, it so works. Get in touch if you've tried any of Lucy's other dishes, or are a fan of The Hummingbird Bakery (who isn't!). It was delicious! ERG LEKKER!!!! !